Watson Lawn Care is locally owned and operated, servicing the Greater Lewiston-Auburn area. We are currently accepting new residential & commercial clients. We strive to provide excellent customer service and satisfaction, so that our customers can have full trust and confidence in our Lawn Care Services. When you want your yard to look its very best, it takes the right kind of people with the right kind of training, dedication and equipment to accomplish the job. 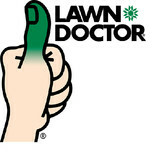 We want our clients to feel comfortable and confident that they are choosing a Lawn Care service they can depend on. We only use state of the art equipment and our staff is professionally trained, licensed and insured. Watson Lawn Care will provide you with reliable, professional lawn care that you simply don’t have to worry about. Thirsty Turf Irrigation is a full service, innovative, water conscious irrigation company. Since 2000, our team of certified professionals have been meeting and exceeding the needs of New Englanders. We are committed to providing our clients with unparalleled customer service that is reflected in every job we complete. As an established leader in the industry, Thirsty Turf is passionate about providing homeowners and contractors throughout New England, with only the highest levels of technical support, professionalism, and dependability. Our team has the resources, experience, and knowledge for demanding projects to ensure maximum water efficiency. We use only the very best products, and we stand behind our work with our responsive 24/7 service and a 5 year product warranty. C. K. C. Landscaping is a full service, family-owned landscape company. Our objective is simple; it is to insure that our clients receive the highest level of service at all times. Retired from Co-Ownership of Quality Floor Finishers of 23 years. Yard maintenance is and will be my final business, it is instant gratification, you pull in to a customers house, do the job at hand and when you leave the property looks amazing, and the homeowner has a smile that shines. WHAT A WONDERFUL FEELING. 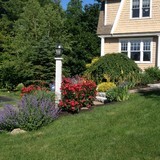 Kennedy's Landscaping & Property Maintenance, Inc.
We specialize in yard and garden maintenance. We also install new gardens. Green Grass Lawn Care Co. was established in 1991 by Erik Sweetser. His goal was to provide high quality lawn care services throughout the New Hampshire seacoast and the North Shore of Massachusetts. The company's driving philosophy for success is "Quality Unsurpassed Every Single Time" or QUEST, which is achieved through continuing education and employee retention. The company's lawn technicians are trained in insect and disease management for both lawn care and ornamental trees and shrubs. ArborPro Plant Care Experts is an innovative and capable company for all of your consulting, planting, spraying and stump chipping needs in Rochester, NH. Our team has years of plant health care experience. Our arborists can accurately diagnose and treat any tree, shrub, and turf problem. Our crews are dispatched from Rochester, Hooksett, Concord, and Gilmanton and work throughout Maine and New Hampshire.' 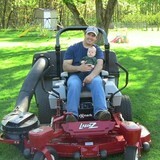 ArborPro Plant Care Experts is a Rochester, New Hampshire family owned lawn care service company. Since 2004 ArborPro Plant Care Experts has established a lawn care service division, offered tree trimming service and developed a weed control service service for its Rochester clients in Strafford County. ArborPro Plant Care Experts has become Rochester local lawn care service favorite! Need a lawn care service in Rochester? For friendly lawn care service service in Rochester and Strafford County call (603) 332-9277 today! Do you get yard envy when you see your Portland neighbors’ lush garden, and bemoan your lack of a green thumb? 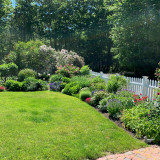 If you want a bountiful yard without doing a bounty of yard work, hire a gardener in Portland, ME! From lawn maintenance to plant cultivation to weeding to general landscaping, Portland, ME gardeners have the expertise and experience to create an abundant garden for you that will be the cause of neighborhood yard envy! In addition to the maintenance side of gardening, Portland, ME gardeners can help you with garden design and choosing specific plants and grass types for your climate and area. Find a Portland, ME gardener on Houzz. Narrow your search in the Professionals section of the website to Portland, ME gardeners. You can also look through Portland, ME photos to find examples of yards that you like, then contact the Maine contractor who worked on them.